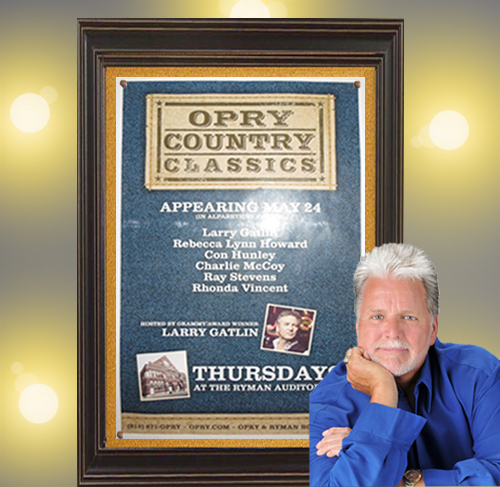 Opry Country Classic series at the historic Ryman Auditorium in Nashville.The series runs on Thursdays in May and again in October, and is hosted by Con's great friend, Larry Gatlin. Each show is chock full of incredible talent and features a line-up of different artists every week. 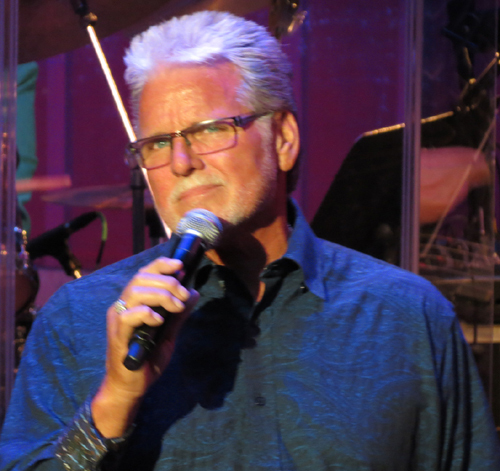 Larry is the perfect host for this show, with his warm personality, great sense of humor, and of course his broad musical talent. 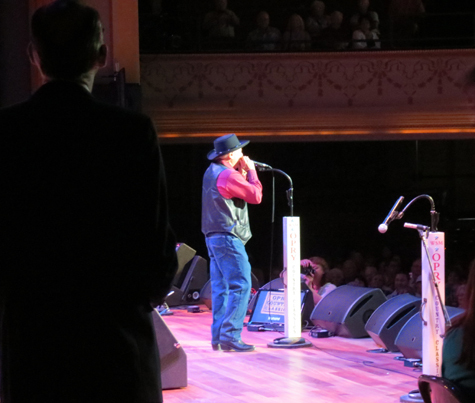 Larry (right) and WSM announcer Eddie Stubbs get the crowd fired up and ready for the show. And the fans just love 'em! 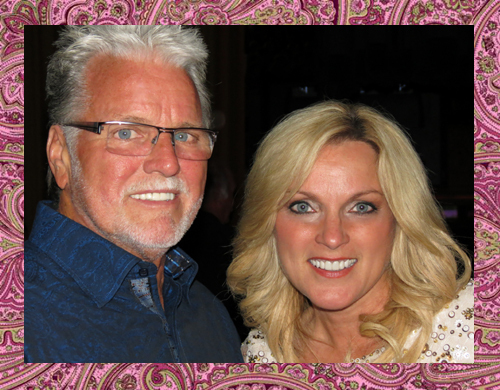 Larry's first guest this evening is the lovely Rebecca Lynn Howard. 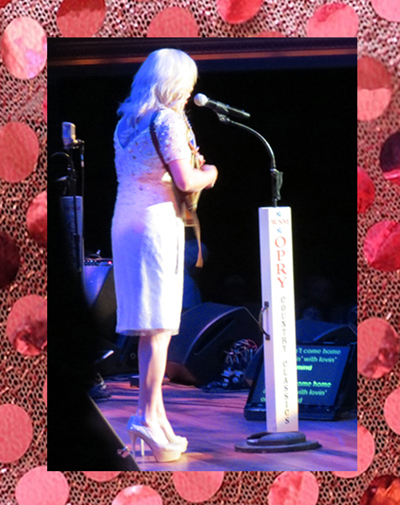 Rhonda Vincent is next to take the stage. 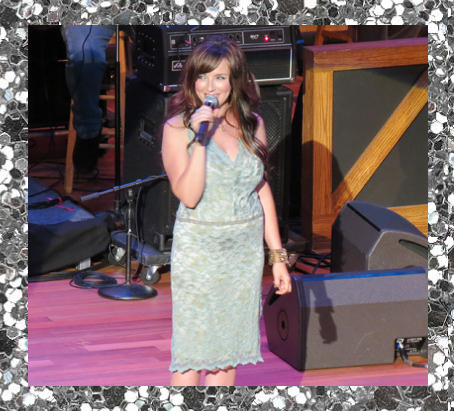 Rhonda is a fan favorite and has recorded with Dolly Parton, Alan Jackson, Gene Watson and many others. After her solo performance, Rhonda invites Rebecca back to the stage, and the two songbirds wow the crowd with a beautiful duet! 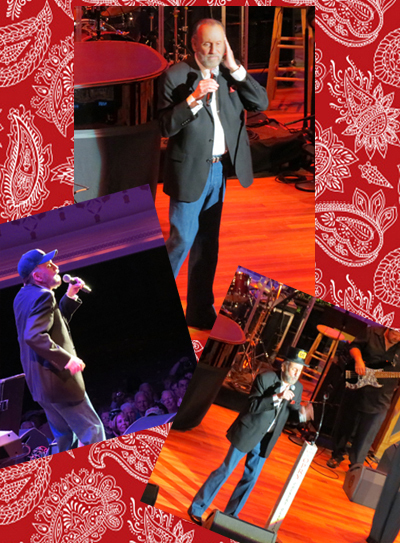 Con loves performing at the Ryman.... it's a special place with a remarkable sound and feel. who are moved by the aura of this room - the audiences are, too. 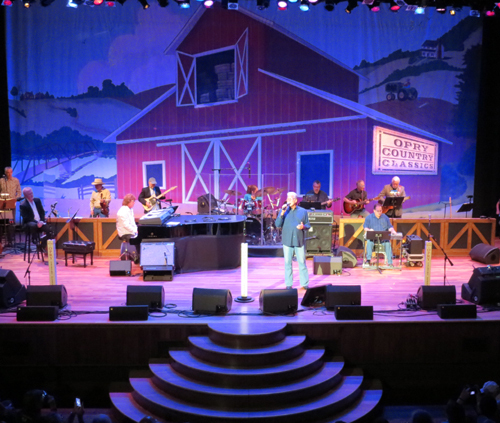 Con performs his version of the Bill Anderson classic, "Still". Next, Con delivers pure emotion on "You've Still Got A Place In My Heart" from his No Limit CD. 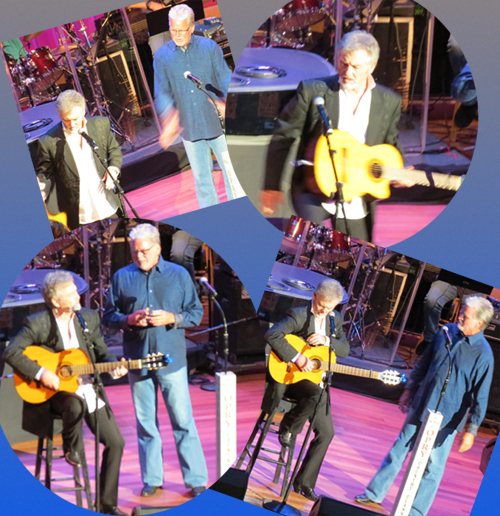 Larry then picks up his guitar to join Con on stage. Looks like something special is 'bout to happen! Con was working on a record in 1980 on the Warner Brothers record label. 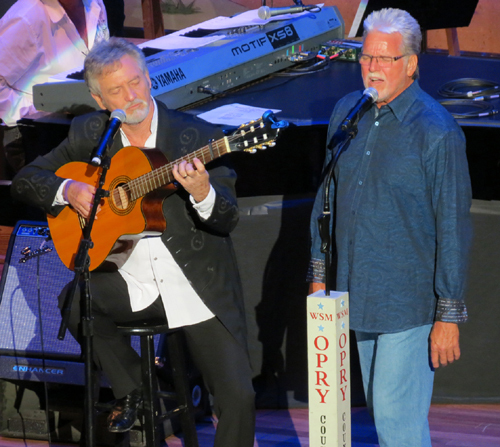 While Con and the producers were working in the studio one day, Larry dropped by to personally hand deliver a song he had just written and wanted Con to record. He sat there in the studio and sang the song, "Straight To My Heart", for Con and it just knocked him out! Con did indeed record the song and it has remained one of his all-time favorites for all these years. Con's version is available here on the website, on the I Don't Want To Lose You CD. But tonight's audience is in for a real treat...Con and Larry are gonna sing the song together...just the two of them singing with Larry's spectacular accompaniment on guitar. 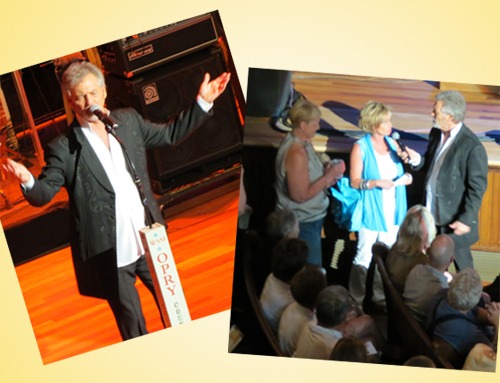 The two friends are enjoying this very special opportunity to sing the song together! 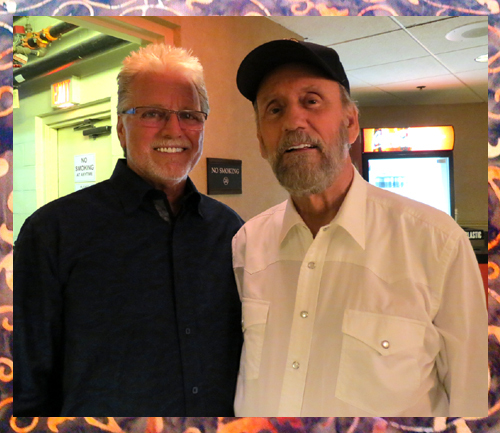 To close out this evening's show is the incomparable Ray Stevens. Super talented, super funny and always unpredicatable... ...that's Ray! 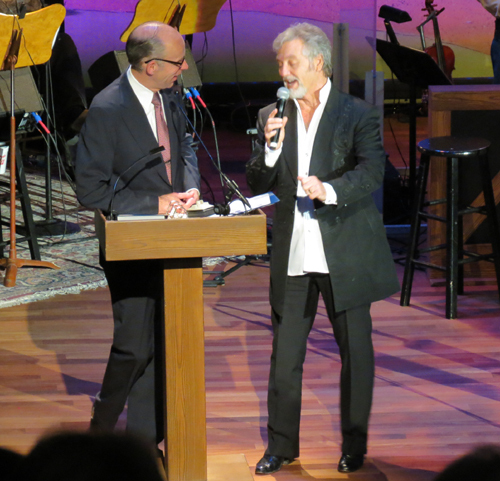 Audiences love his comedic novelty songs, but they also know what a wonderful writer and arranger he is. Ray penned the unforgettable tune "Everything Is Beautiful" and he brought the jazz standard "Misty" to country music fans by thinking out of the box and arranging the song with steel, fiddle, and banjo. Ray's arrangement of this timeless song has become a classic in it's own right. Con and Ray take a few minutes to catch up backstage. They've known each other since they were both with Warner Brothers Records years ago. 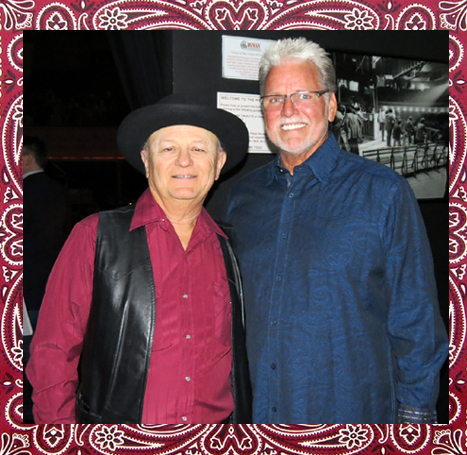 Con with the talented and legendary Charlie McCoy. Eddie Stubbs. 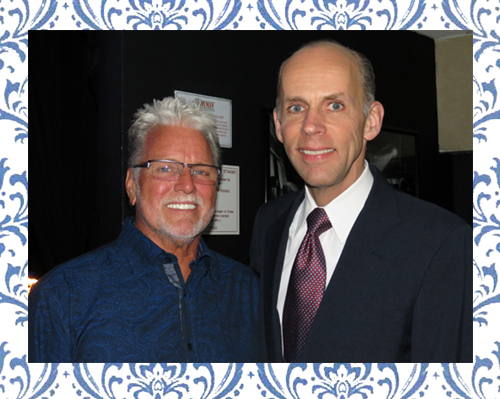 A well-known and well-loved radio personality at WSM Radio, Eddie is also one of the greatest Country Music historians anywhere. 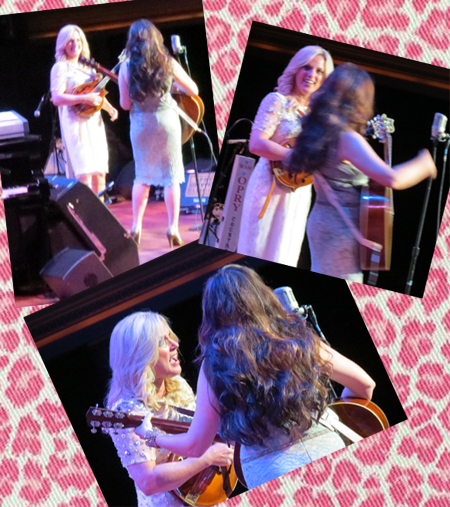 And with the talented and lovely Rhonda Vincent. 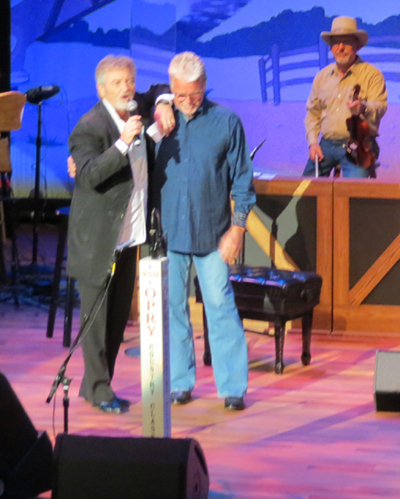 As expected it's been another great night here at the Ryman with good friends sharing a lot of laughs and a lot of great music. Let's do it again...soon!